Well it finally happened, with the Elder Cipher given out like candy in PoE, the Peregrine Greaves being sold a few weeks ago, and all the other armor being acquired from exotic engrams or sold from Xur, for a lot of people Bones of Eao was the only exotic left to get in the game and it’s here. 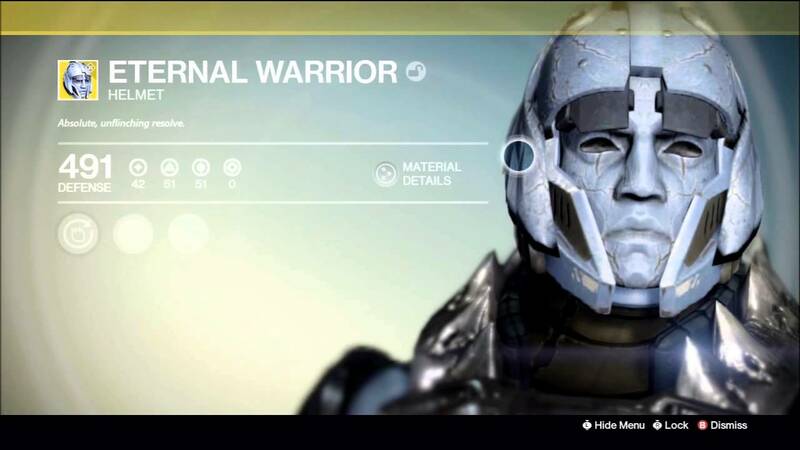 Titan: Helmet: Eternal Warrior w/56 intellect 75 discipline roll: It’s back and it’s still ugly. The perks on this exotic are a bit weird, it gives you resolute for unstoppable fist of havoc, which is great for PvP, but then the other two are inverse shadow for more super from killing minions of the darkness and infusion for getting health back from orbs, which are more PvE oriented. Still it’s a solid choice with a so-so stat roll, the discipline part is good but the intellect is weak. 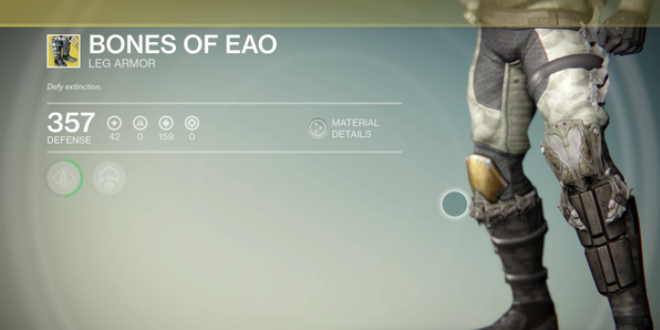 Hunter: Leg Armor: Bones of Eao w/151 discipline roll: And here they are Bones of Eao, the exotic eluding most people in HoW. It’s not necessarily a great exotic for the hunter but it sure is a fun one as it gives you one extra jump (assuming you’re not set to blink), which is the best on gunslinger because you now have the option for quad-jump! 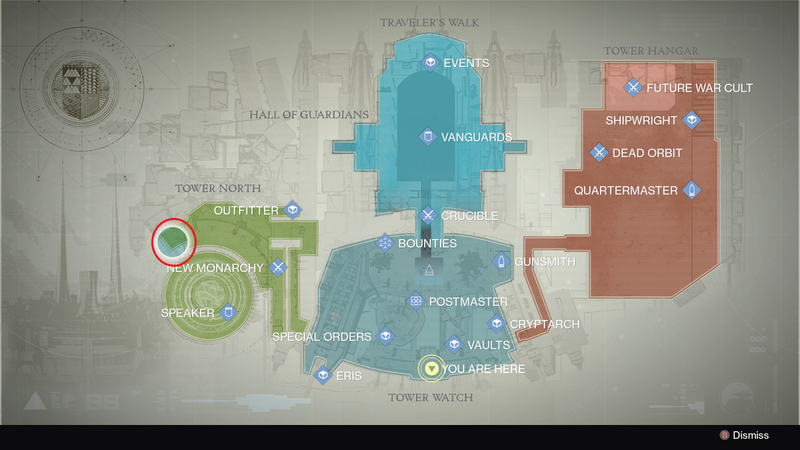 Great if you’re into cheesing the bridge on Crota’s End raid. Like all good leg armor it also has increased heave ammo and a good stat roll. Get them. 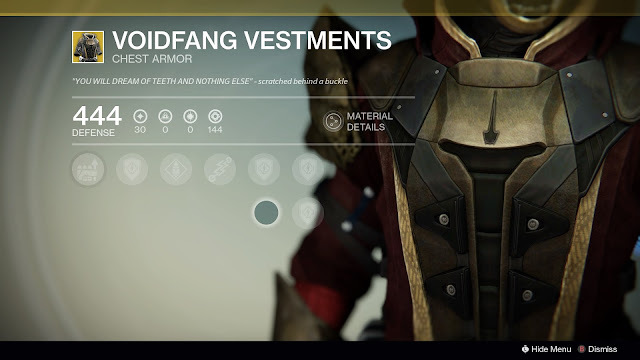 Warlock: Chest Armor: Voidfang Vestments w/159 strength roll: Not my exotic of choice for a voidwalker warlock. 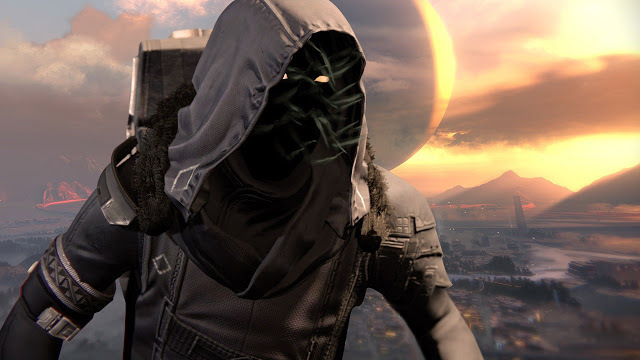 Its main perk is enhanced axion bolt that chases for a longer time and spawn with grenade energy. Personally I prefer Obsidian Mind or The Ram as they are far more useful. It also has more ammo for hand cannons and special weapons which is good. It does have a pretty good stat roll but it’s strength, another strike against this exotic. 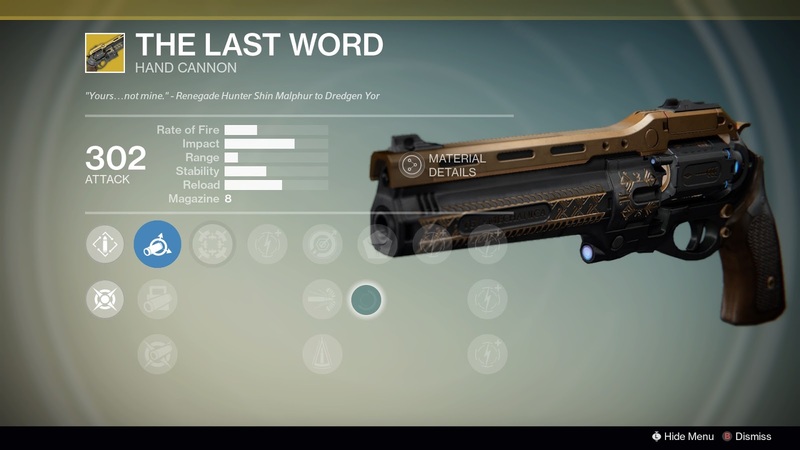 Weapon: The Last Word: An amazing exotic for PvP but unfortunately there is a pretty hefty nerf incoming for hand cannons. I’d still get it but just beware it may not be nearly as good soon.